COMMUNITY worker Lexia Brown has been named the Derwent Valley Council's Citizen of the Year for 2017. The award was announced by mayor Martyn Evans at the local Australia Day celebration at the Derwent Esplanade yesterday. 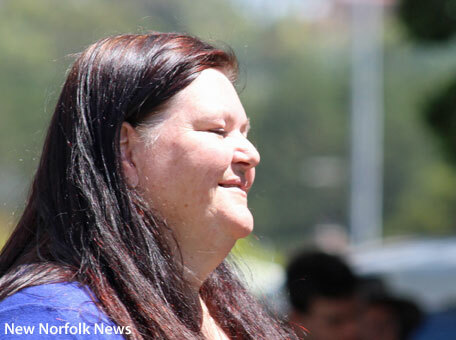 "As a co-ordinator for the Derwent Valley Community House, Lexia has worked tirelessly towards the establishment of programs, such as the Eating with Friends and Look and Cook Programs and the Children’s Choir," Councillor Evans said. the NNHS prefects and student leadership group in many charity events, including the "Light the Night" Leukaemia Foundation fundraiser. 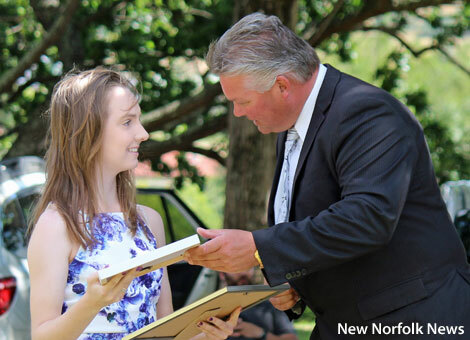 "Recently, Emma was awarded the New Norfolk High School medal as recognition of her service to the school and the community across all areas including academic, sporting and community service," Cr Evans said. The Magra Fire Brigade quiz night was named the Community Event of the Year. Congratulations Lexia, Emma and the Magra Fire Brigade.